Our "Best Practices" PDF provides useful information on how to output Color-Logic files for both analogue and digital presses, and for both white and silver ink output. IMPORTANT: Please do not provide any of the digital artwork files to your customers. You are permitted only to download and print the artworks contained herewith, for the sole purpose of demonstrating the Color-Logic system and to provide printed samples to your clients. All artworks on this site are covered by an end user’s license with respect to digital artworks and stock files. Read here for more information. Mac: "Right Click" the Logo and "Download Linked File As" PC: "Right Click" the Logo and "Save Link As"
The Print Evaluation Test Forms show the range of special effects that are achievable using the Color-Logic system. There are two pages, page one contains a range of designs using examples of the proprietary effects. Page two showcases what those effects are, by name. ACTION REQUIRED: You need to print these forms on your press, then submit twenty (20) samples to Color-Logic to be measured and certified. PRINT ME OUT … I'M METALLIC! Note: WHITE prints first, followed by the CMYK. This is our full literature and contains tips and tricks for working with the Color-Logic system. The Color-Logic PowerPoint Presentation is a step-by-step presentation that covers the WHO? WHAT? WHY? and HOW? questions regarding Color-Logic and is an excellent aid when presenting to clients and potential new customers. Every technology investment should include a strategy for realizing the fastest return on the investment. As a rule, the fastest return on any investment is produced by increasing sales revenues, followed by increasing production efficiency. Color-Logic addresses both production efficiency and sales revenue by utilizing the white ink technology. Here are some specific ways Color-Logic can increase ROI. Design and print in an expanded colour space using NEON inks and the Ricoh Pro C7100/7200 series press. This video demonstrates how to up-sell your white ink printing, against a competitor that does not have white ink on their press. A simple “before and after” demonstration, printing our Test Forms, will show the power of white ink printing technology. West Chester, Ohio, USA; February 2016--Color-Logic and Ricoh helped make the 2015 Ricoh Women’s British Open a sparkling success by furnishing VIPs with keycard holders and golf ball boxes. The materials were printed on the new Ricoh C7100 press with white toner, using files prepared by the Color-Logic Brand Services Group. IMPORTANT: The following substrates have been certified by Ricoh Europe – We (Color-Logic) have approved the use of these papers for the Color-Logic system, however, we suggest extensive internal customer testing before committing to any commercial job, with press runs comparative to a typical job, so that you can gauge whether you will encounter any press issues. Kernick Road, Penryn, Cornwall, TR10 9DQ, UK. The following video showcases the artwork files that we will be releasing throughout 2018 for our clients that stay within the S.M.A.R.T program. All files are editable, so that you can put your logos and branding on them. Color-Logic is the only commercially available color communication system for metallic substrates and metallic inks which takes into account the substrate, inks, press curves and coatings. The Color-Logic system provides a color communication system for 250 new metallic colors, which in turn can producing eye catching decorative effects. Printers and converters are granted a license to produce their own Swatch Books (or Color Charts). This eliminates the need to match a generic purchased swatch book of metallic colors, printed under unknown conditions and generally with substrates and inks not applicable to the printing process of the printer! Each color in the swatch book is replicated in to a digital swatch library that is imported in to the designers software (Photoshop, Illustrator, InDesign etc), along with a Photoshop plug-in that calculates the desired metallic effect for imagery. A designer then uses these palettes and plugins to design with, choosing metallic colors from the printers very own printed swatch book. Files designed with the Color-Logic system can then be visualized using the FX-Viewer software. 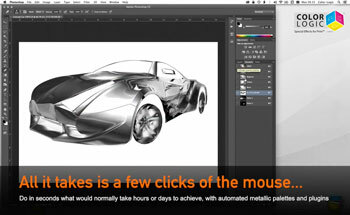 For more information on the Color-Logic Design Suite, please click here. Color-Logic Printer Licenses are available in three modules; Standard, Premium and Premium Plus. A Standard Printer License is ideal for a small print shop or convertor that only needs to print and manufacture supplied files designed using Color-Logic. 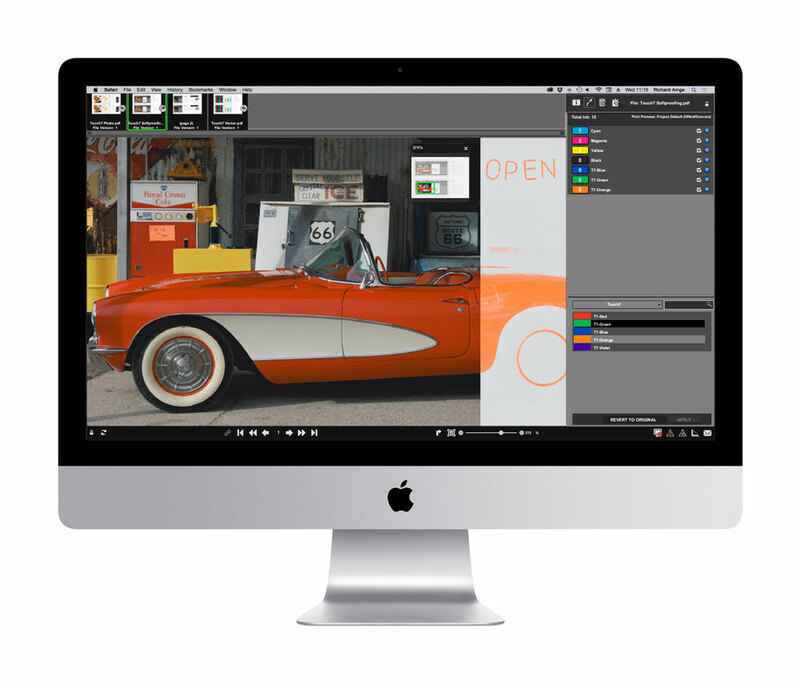 A Standard license also comes with one Design Suite & FX-Viewer, which enables the printer to convert designs in-house on behalf of their clients/designers. The Premium and Premium Plus license modules are designed for the larger print shops that wish to install Color-Logic on multiple work stations, or for those printers that work with external design agencies – each of the premium licenses comes with additional Design Suite & FX-Viewer (Single Seat installs) that may be sold to external designers. Each Printer License comes with a minimum of 24 months enrollement in the S.M.A.R.T program. Additional yearly enrollment: If renewed before expiry, annual S.M.A.R.T Program Enrollment is $525 US Dollars. If you let your enrollment in the S.M.A.R.T program expire, you can still sign up – However, re-enrollment will cost $1050 US Dollars. Then, continued enrollment in subsequent years will cost $525 US Dollars, if paid before your S.M.A.R.T program expires for that subsequent year. Price and specification subject to change without notice. Touch7 is an Extended Colour Gamut System for ECG inks (Orange, green violet etc) as well as Neon Fluorescent inks, with the resulting separations increasing the colour gamut of your print engine. 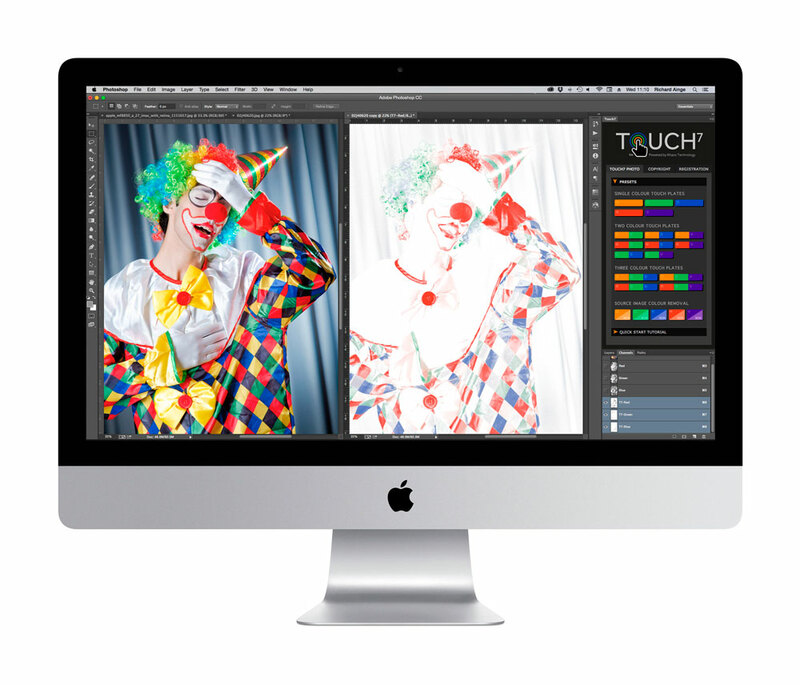 Color-Logic is the exclusive distributor of Touch7.